Rooted in traditional Chinese medicine, acupuncture is an alternative therapy that many equine (horse) veterinarians now use along with conventional medicine. For veterinarians like Dr. Jessica Thornton of Hagyard Equine Medical Institute, it’s another technique to help her diagnose and treat horses. In this video, you’ll see how pressing on acupuncture points, and gauging the horse’s reaction to them helps Dr. Thornton localize problems to aid in diagnosis, as well as how she uses needles to treat problems. “By stimulating these points, it increases the blood flow to those affected areas and allows the body to heal itself,” according to Dr. Thornton. Acupuncture can be used to alleviate pain and treat musculoskeletal problems, such as arthritis and lameness as well as other conditions including colic (a painful digestive system disorder), nerve issues and respiratory problems such as asthma. 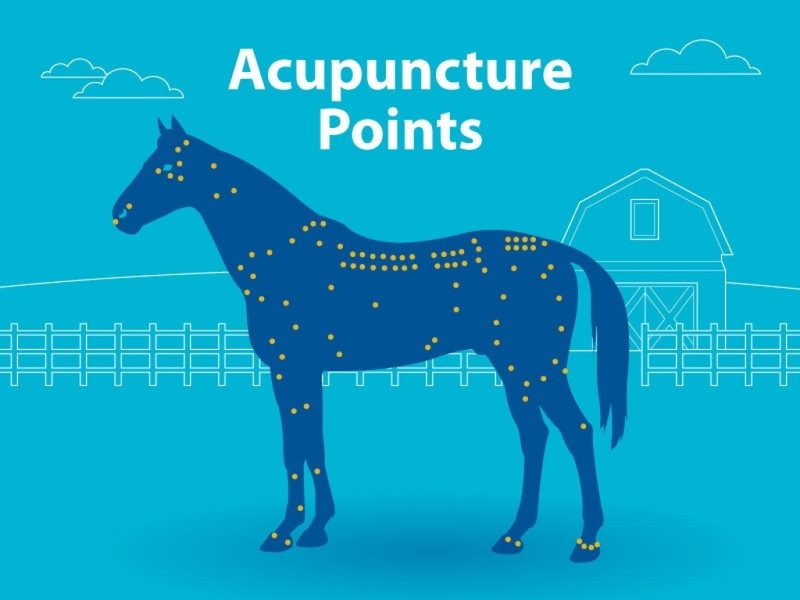 Veterinarians who practice acupuncture must learn the locations of specific points used to diagnose and treat different conditions. You will see the veterinarian inserting needles into the horse’s skin, but the needles are much thinner than other medical needles and the horse really doesn’t seem to mind it. Did you like this video? Then learn more about equine veterinarians. Or watch an actual lameness exam. You can also check out a video on equine chiropractic, or manual therapy. And get more details on Hagyard Equine Medical Institute.